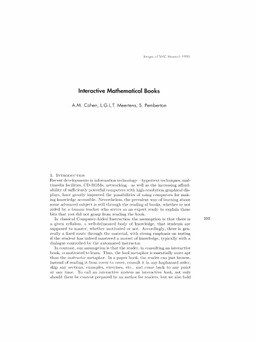 Cohen, A.M, Meertens, L.G.L.T, & Pemberton, S. (1996). Interactive Mathematical Books. In G.Y Nieuwland (Ed.), . Stichting Mathematisch Centrum.